My local group is partaking in a year-long Leader Board for 2016. In cased you missed it, here’s Week One. Week 2 of the 2016 Leader Board Season was played on the evening of Thursday, January 21. 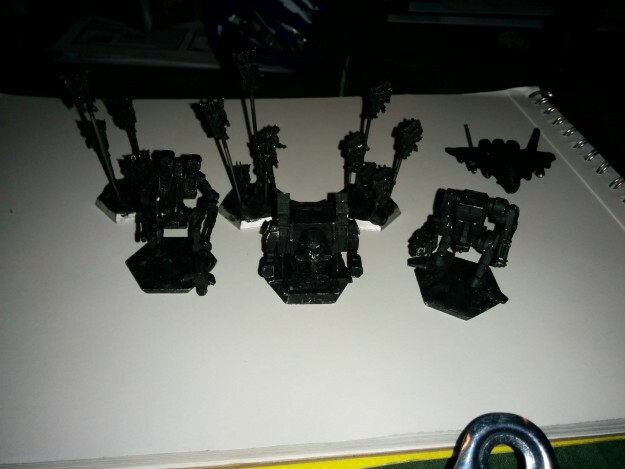 The Jade Falcon, Snow Raven, Wolf’s Dragoons, and Ghost Bear players were able to make it. Additionally, we had two players play in their first intro game that night, with one of those guys even picking up a list and playing a Leader Board game after two people had to leave! I was a little better about lists this week, but still not good enough. The Wolf’s Dragoons player managed to get away without me getting a picture of his force, so his list will be to the best of my memory. Nothing like a nice, full Star of Clan OmniMechs to wreck someone in the…wait, is that a Turkina?!!! 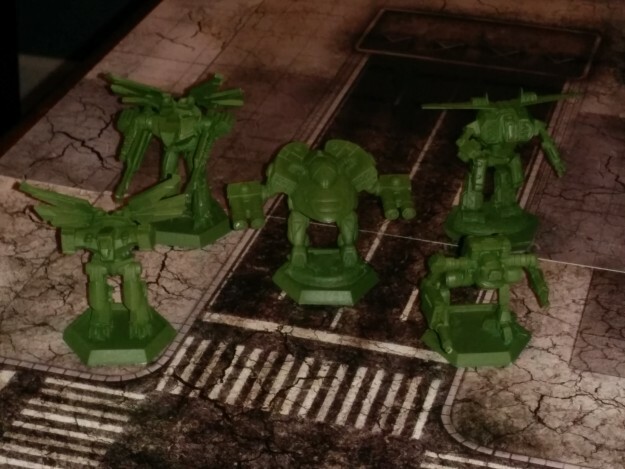 Two of the Jade Falcon `Mechs, the Turkina and the Flamberge, were at Skill: 2, while the rest of the force was at Skill: 3. This force was fast and jumpy. It can pretty much always be where it wants to be, when it wants to be there. This Clan Snow Raven force is well-rounded and swift. The Mad Dog and Linebacker were both at Skill: 2. All other units were at Skill: 3. A massively dangerous Aerospace fighter, the Kirghiz has the potential to deliver a killing blow to just about any unit in the game. Oh, and side note, nothing is more annoying that Battle Armor that can fly by you and drop bombs. Image file not found. Please contact your local Comstar office for further technical assistance. Wolf’s Dragoons hit the field with seven (7) BattleMechs of mixed Inner Sphere and Clan manufacture. It was a generalist list that managed to have everyone at Skill: 3. What, no Kodiak? I thought you guys were Ghost Bears. The Bruin and Arcas were both at Skill: 2. The Solitaire, Arcas 3, and Beowulf IIC were at Skill: 3. This list is very similar to the Jade Falcon list, fast and mobile. The differences between the Bruin and the Turkina allowed the Ghost Bears to have beefier heavy `Mechs. One of our new players jumped into the fray right after his Intro Game, and he loved the game right away. We think he’s going to keep coming back. 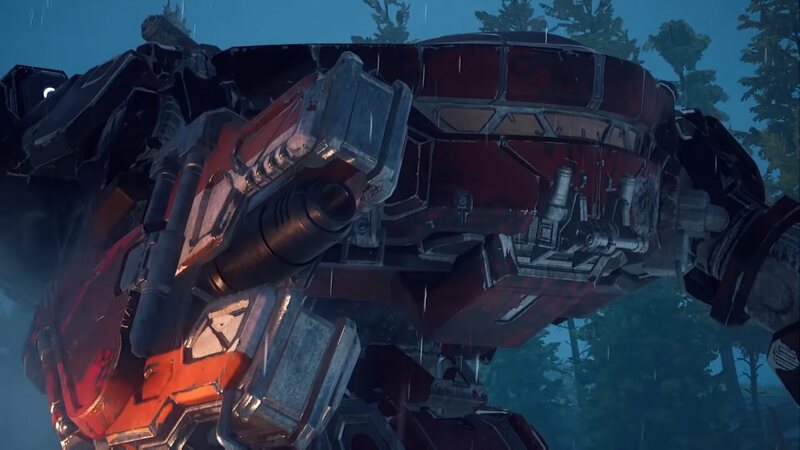 His list was based off of my Draconis Combine intro unit, which was expanded to 250 PV with supplementary Mechs from the group for his game against Wolf’s Dragoons. Week 2’s scenario was one of simple point control. Two 6″ diameter objective zones were established in the center of the board, 12″ apart. To score, there must be no enemy units contesting the zone during the end phase of a turn, and each player scores objective points equal to the PV of the units controlling the point. First side to 150 objective points wins. Scoring begins at the end of Turn 3. 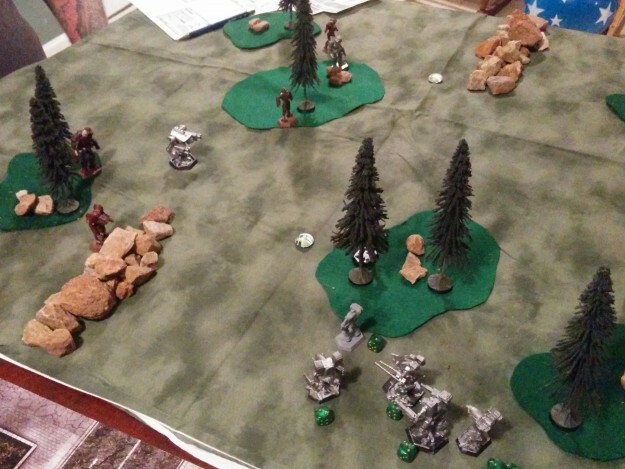 Disaster struck early for Wolf’s Dragoons as its Vulture found itself in the sights of the Turkina on Turn 1. A roll to hit, succeeded, and one vaporized Vulture. The early hit to morale proved too much for Wolf’s Dragoons, and Clan Jade Falcon continued to pummel the mercenaries, grabbing a swift and decisive early Objective Win. 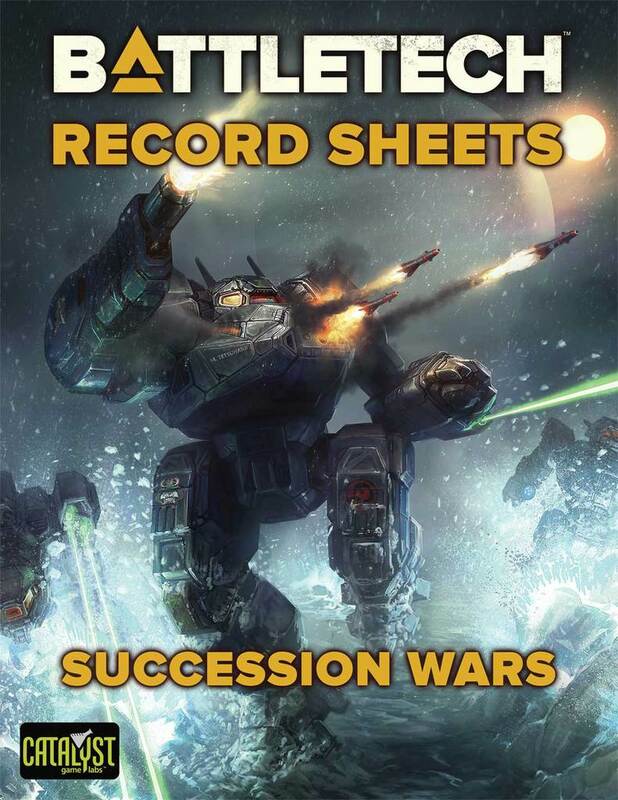 The Ghost Bears deployed aggressively, hoping to bully the relatively lighter Snow Raven force from the first moment. 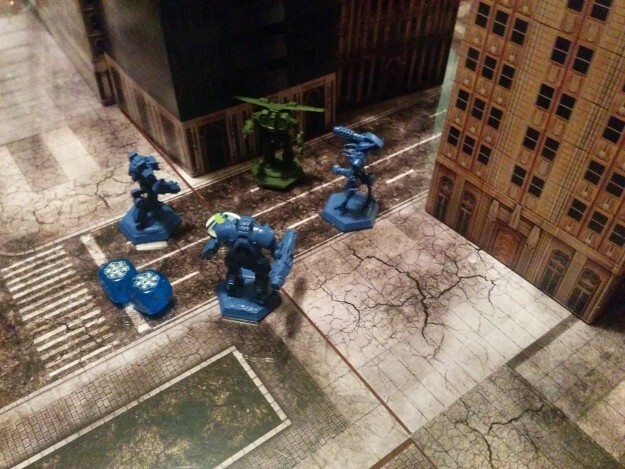 The fighting over the control points was brutal, with the Snow Raven plan betted everything on bombing the smaller Ghost Bear BattleMechs off the board. Several bombs missed their mark, however, and only caused superficial damage to the Ghost Bears, who pushed the Snow Ravens off of the objectives and claimed a strong Objective Win. Wolf’s Dragoons prepare to counterattack against the advancing 5th Sword of Light. The two new players played out their Intro Game concurrent to Round 1. One side had a Lance from the 15th Avalon Hussars, while the other side had a Lance from the 5th Sword of Light. Good ol’ Davion vs Kurita match. For some reason, I did not write down who won, but neither player really cared. They both jumped into the game and found it incredibly easy to pick up and play. One of the Intro players and the Snow Raven player had to leave after Round 1, so the other Intro player was outfitted with reinforcements for his 5th Sword of Light, and the battles commenced. The 5th Sword of Light deployed its Daishi just a little too far out in the open, and Wolf’s Dragoons decided to punish the new player for his mistake. With their heaviest hitter out of the fight so early, the 5th Sword of Light rallied and pushed back, contesting the control zones to the very last man. In the end, Wolf’s Dragoons triumphed by destroying just enough of the 5th Sword to claim an Objective Win. 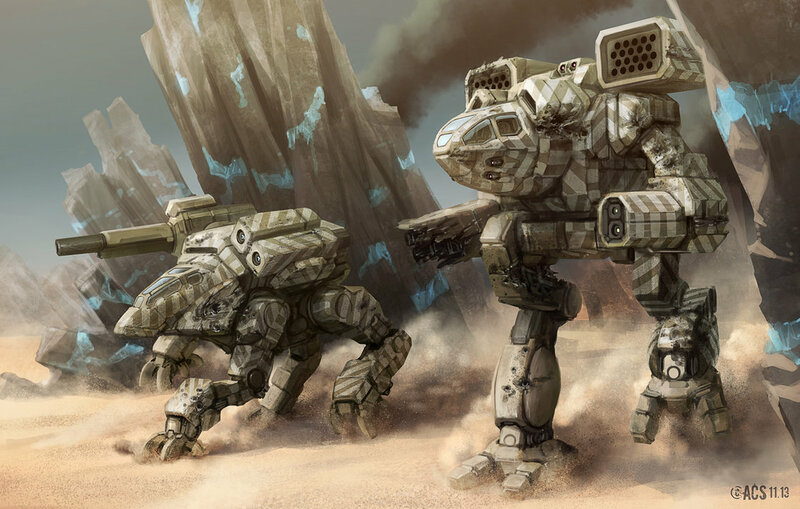 Showing no fear of the Turkina, the Ghost Bears went right after the menacing Assault Mech on the first turn, with the <em>Bruin</em> landing a devastating blow on the heavier BattleMech. However, the Ghost Bears paid the price for their aggression, losing the <em>Bruin</em> on Turn 1 for an instant 4 v 5 situation. 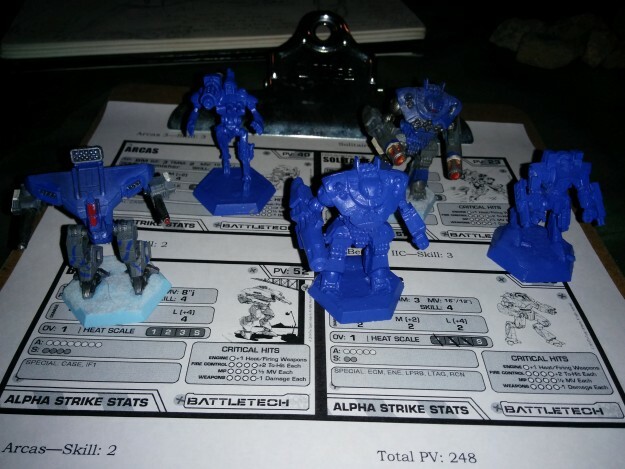 The fates battled back and forth for the rest of the game, with the Ghost Bears relying on the stalwart nature of the two <em>Arcas</em> BattleMechs. In the end, the Jade Falcons could not stand up to the Ghost Bears' repeated all-out assaults, and the final roll (Double Ghost Bears!) 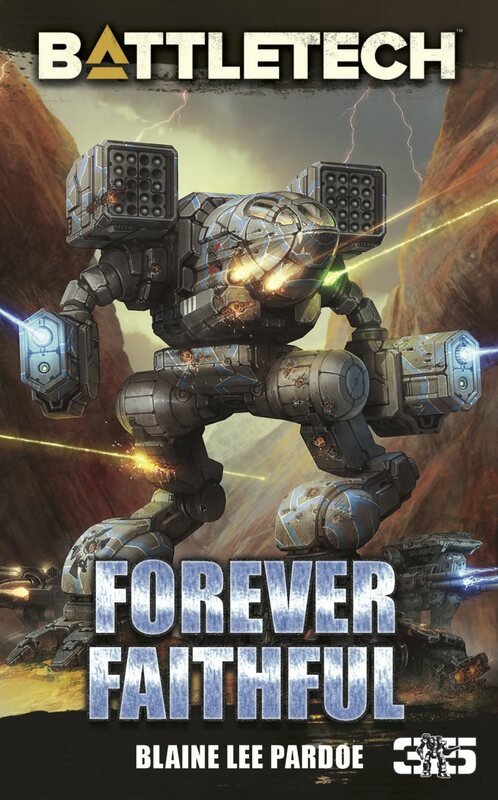 to take out the last Jade FalconMech is memorialized in the picture below. Clan Ghost Bear claimed the Win. The Flamberge did manage to kill the Solitaire with its dying breath. Moving into Week 3, which is tentatively scheduled for either the first or second Saturday in February, the standings are still anybody’s to take. We have only played a handful to games so far, so fortunes could shift at any moment. 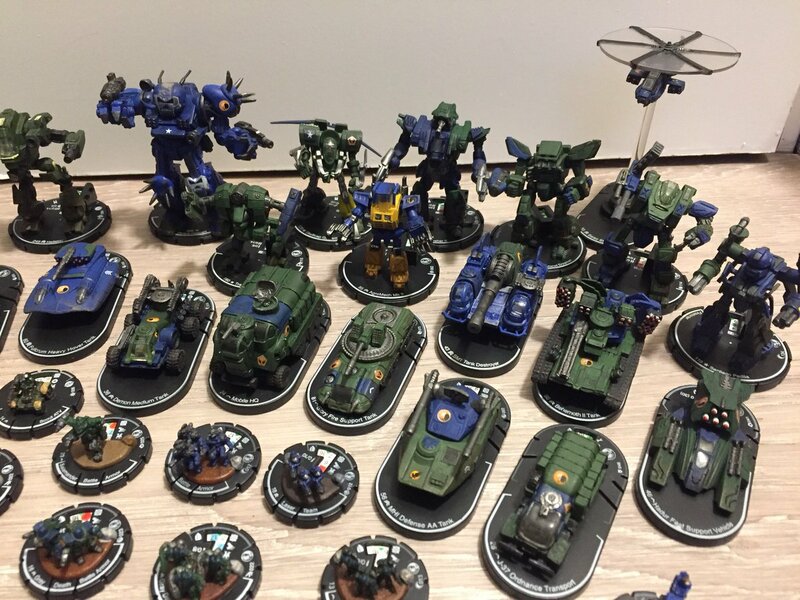 My personal goal for Weeks 3 and 4 is to start getting numbers up in the Units Painted category. So that’s it for Week 2 of the 2016 Leader Board Season. Week 3 commences on Saturday, February 6. Has your group talked about starting something like this? Need any advice, tips, or ideas? Use the comments section to tell me about what you’re up to, and let’s see how many groups can get their own Leader Board going for 2016! 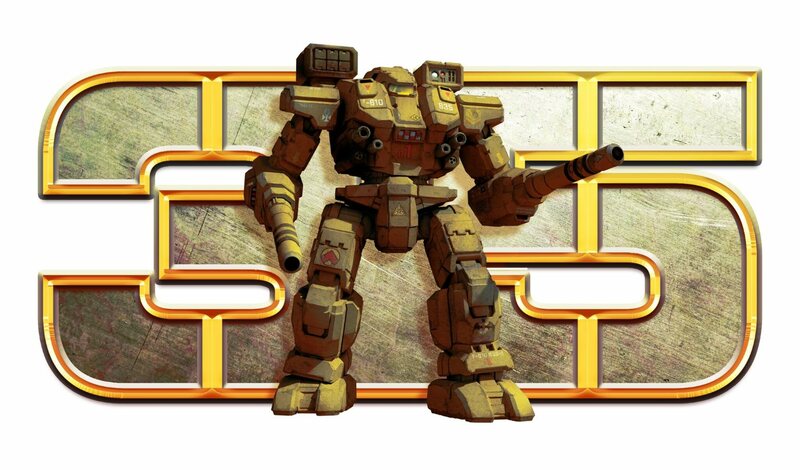 Want to know more about BattleTech: Alpha Strike? 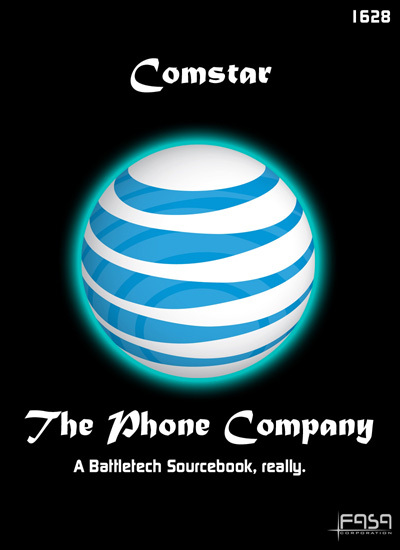 You can pick up the free Quick Start PDF at the Catalyst Game Labs website. 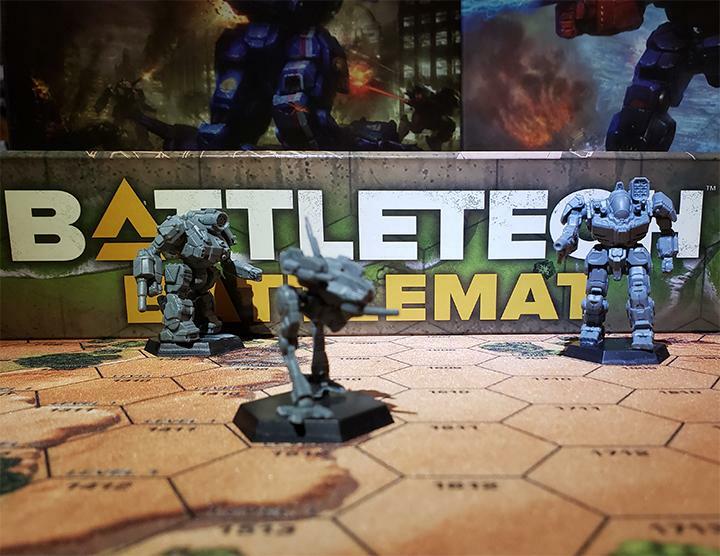 This entry was posted in Battle Reports, Community, Fan Projects and tagged Alpha Strike, BattleTech, Leagues, Organized Play on 2016/01/27 by Dave Martin.